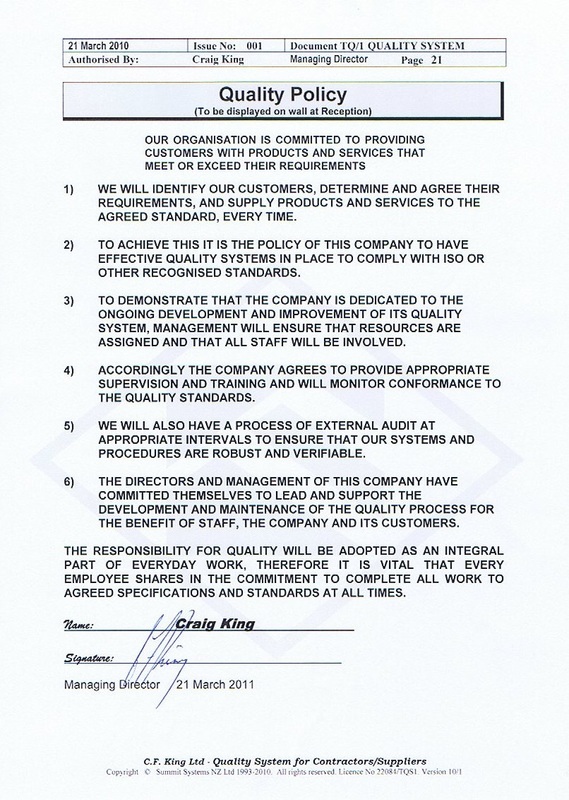 CF King Contracting implemented it's Quality Assurance policy and manual in the late 1990's. The system operates the TQ1 System which is of a high construction standard. To achieve this it is the policy of CF King Contracting Ltd to have effective quality systems in place to comply with ISO or other recognized standards.